Pitchfork published an in-depth profile on Earl Sweatshirt this morning. It takes a peek behind the curtain to reveal the creative process behind Earl’s Some Rap Songs, which dropped back in November. It turns out that New York’s skate scene played a heavy role in bringing the 24-year-old rapper’s latest offering to life. Largely conceived in New York, Some Rap Songs is the result of a chance encounter that more or less changed the trajectory of Thebe’s music. In 2016, the young underground rapper MIKE and producer Adé Hakim stopped Thebe near the Supreme store in Soho to tell him they were fans. 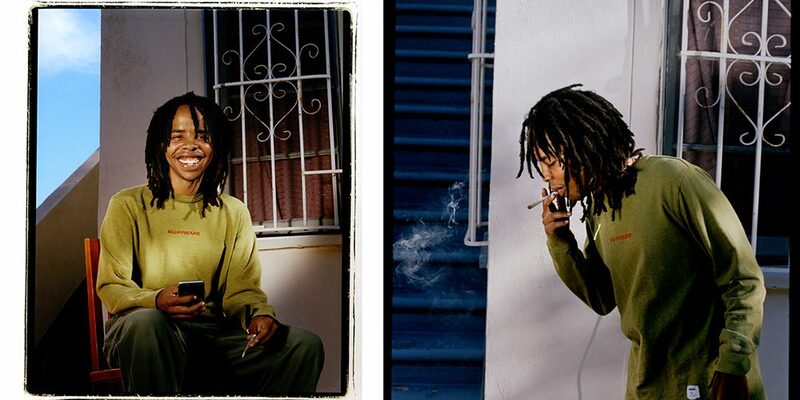 (“My first impression of Thebe was that he didn’t trust anybody, and with good reason,” Hakim tells me.) A few months later, Thebe happened to buy a MIKE project on Bandcamp by coincidence. Shortly thereafter, Thebe fell in with MIKE and Hakim’s sLUms collective, whose sound is marked by woozy samples and a disinterest in hooks, along with other like-minded artists. By summer 2017, they’d all become fast friends, hanging out at pro skateboarder Sage Elsesser’s place in Brooklyn and listening to music. To take a deeper look into Earl’s world, head over to Pitchfork to read the entire piece.